A small 1v1 map, most suitable for efficiency duels. Sci-fi-ish environment in a body of water. Only thing I may add is that death material isn't intuitive for the first play, but after having few duels with bots I found it logical. 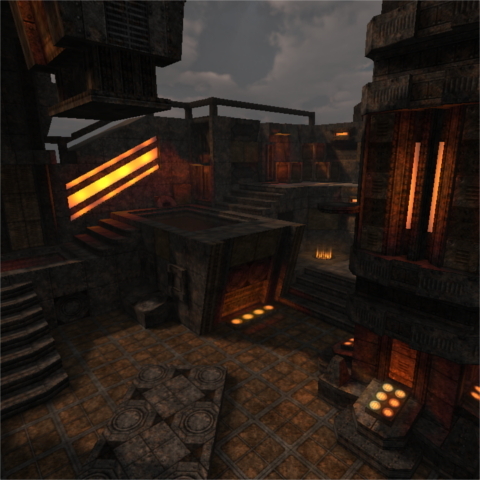 Also, I would like to see CTF map using same style of layout and texturing. just played and tested it. great map. keep going!